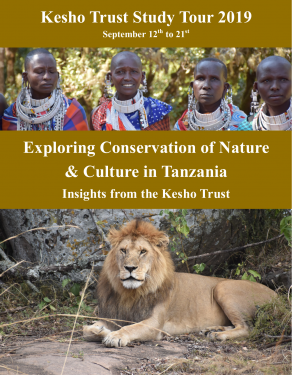 The Kesho Trust : Announcing our 2019 Study Tour!! 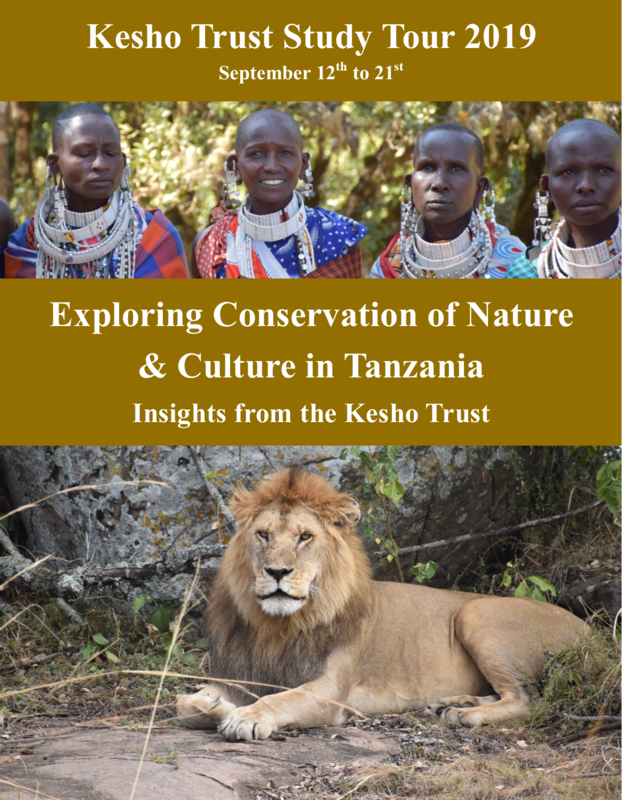 The Kesho Trust > Announcing our 2019 Study Tour!! Announcing our 2019 Study Tour!! Join us for this exciting opportunity. 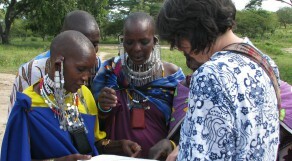 We will be experiencing some of Tanzania’s most iconic conservation areas – the Serengeti, Ngorongoro and Tarangire – as well as getting an extraordinarily in depth insight into Maasai culture and the Kesho Trust’s work with the communities of Enguserosambu Ward. To get more information go to our study tour 2019 webpage on this site. The Kesho Trust supports communities to develop a greater awareness of the value of protecting the environment while finding innovative ways to improve sustainable livelihoods. 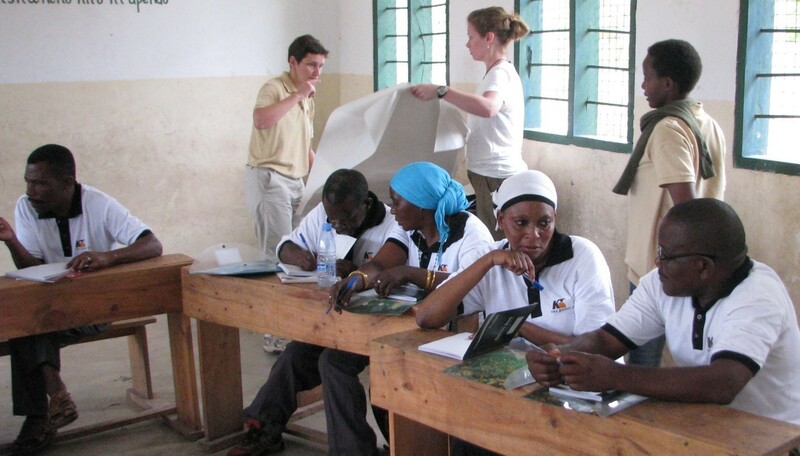 We believe in empowerment through partnerships and we work with local community partners. Our work is guided by these important values: small scale; partnership; community based; facilitative; exchange of experiences; and, inclusion. You can help. Get involved! Donate! Volunteer! 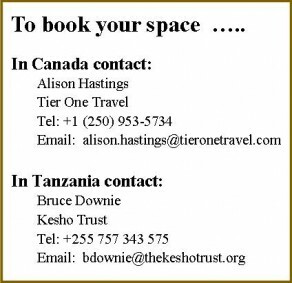 The Kesho Trust is a Canadian charity (89531 6206 RR0001).